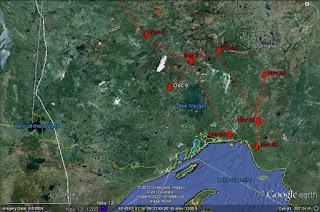 We would like to share some updated travels of the Minnesota golden eagles. 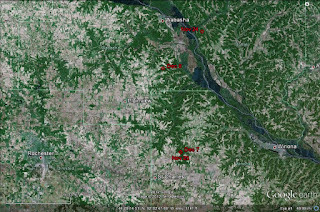 Thank you again to Mark Martell of Audubon Minnesota for sharing these maps. Eagle 45 (Jeanette) is in southern Ontario, Canada. 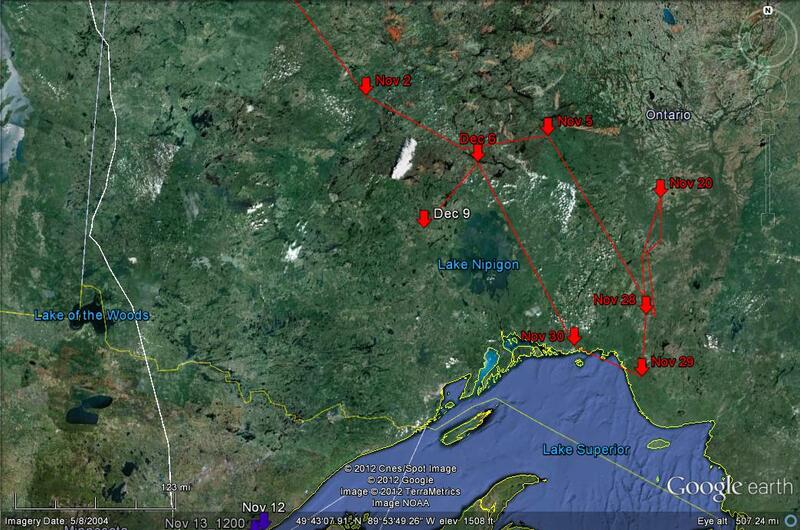 She has moved from near the shore of Lake Superior to the Lake Nipigon area. Her radio continues to give us problems as the GIS transmitter works only on occasion. Eagle 46 (Hda Wah’pe) was in the Whitewater Management Area (Winona County, MN) from Nov 25 – Dec 7, in an area he spent much time in last winter. On Dec 8 he moved north and spent the evening in Winona County. 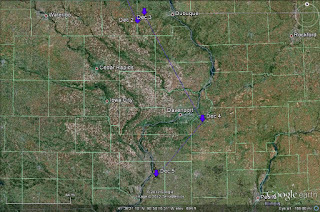 Eagle 53 (Jack) moved east out of Iowa and into northwestern Illinois. 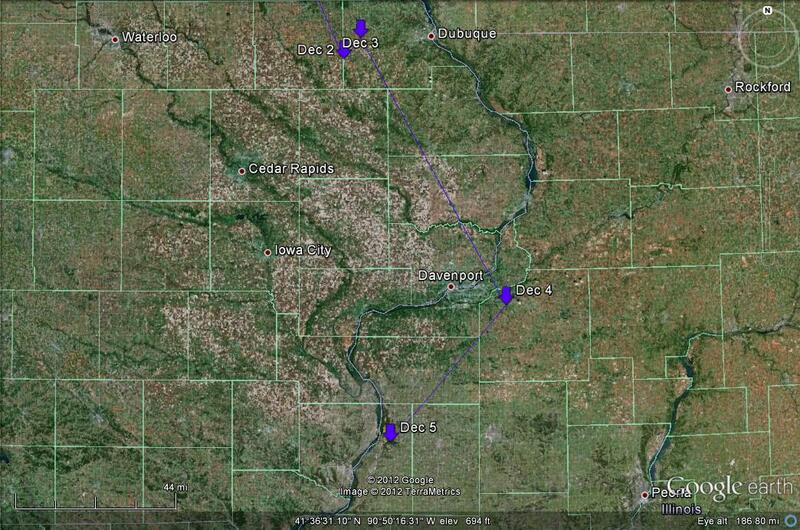 On Dec 5 he was in Henderson County, Illinois which is the furthest south we have tracked a golden eagle. Click here or the full list of partners, as well as the background on this project.